Magnetic resonance imaging (MRI) is a technique used in biomedical imaging and radiology to visualize internal structures of the body. Because MRI provides excellent contrast between different soft tissues, the technique is especially useful for diagnostic imaging of the brain, muscles, and heart. In the past 20 years, MRI technology has improved significantly with the introduction of systems up to 7 Tesla (7 T) and with the development of numerous post-processing algorithms such as diffusion tensor imaging (DTI), functional MRI (fMRI), and spectroscopic imaging. From these developments, the diagnostic potentialities of MRI have improved impressively with an exceptional spatial resolution and the possibility of analyzing the morphology and function of several kinds of pathology. 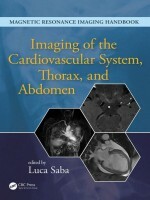 Thus, the Magnetic Resonance Imaging Handbook: Imaging of the Cardiovascular System, Thorax, and Abdomen provides radiologists and imaging specialists with a valuable, state-of-the-art reference on MRI.